Pitting corrosion can produce pits with their mouth open (uncovered) or covered with a semi-permeable membrane of corrosion products. 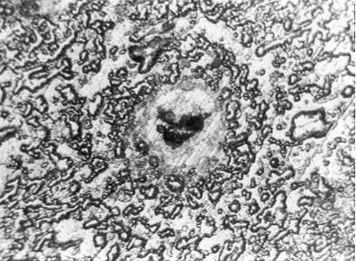 In this micrograph of an aluminum specimen exposed to a 3,5% NaCl solution for seven days one can clearly (?) see different types of attack on the same surface. The width of the picture is approximately 1 mm.